"Let's give our people their justice." Samuel Goldwyn has released an official US trailer for a western action film titled Buffalo Boys, coming from Indonesia (where it's set), and produced out of Singapore. This just premiered at the Fantasia and New York Asian Film Festivals this fall, and is also this year's Singaporean Oscar submission for Best Foreign Language Film. This "fun old-school western flick" is about two brothers named Jamar and Suwo who return to the land of Java to avenge their father, a murdered Sultan, after years of exile in America working on the railroads, and being cowboys. But they end up in a fight for their lives. 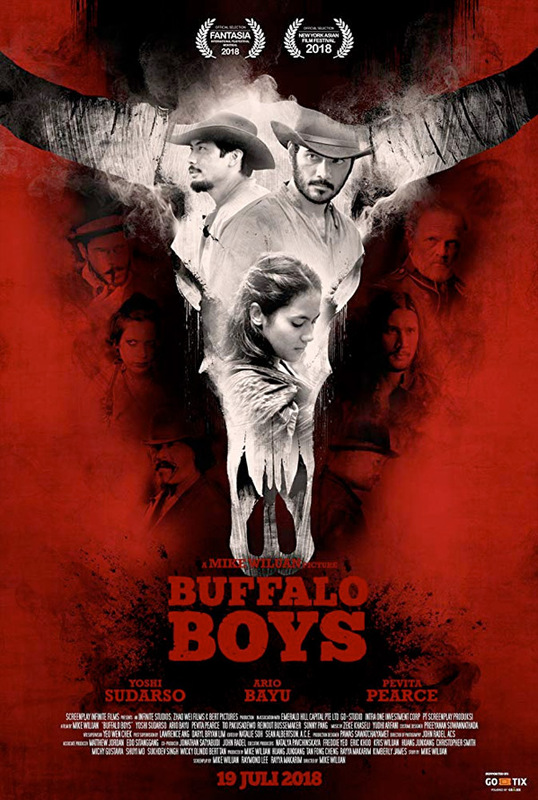 The main cast of Buffalo Boys includes Yoshi Sudarso, Ario Bayu, Pevita Pearce, Tio Pakusadewo, Conan Stevens, Reinout Bussemaker, Zack Lee, and Sunny Pang. Holy hell, this looks badass!! Get a load of this, seriously - the action actually looks clear and kinetic. I need to find and watch this right away. In 19th Century Java, a brutal massacre and the murder of Sultan Hamza by Captain Van Trach and his Dutch soldiers force Arana, Jamar and Suwo - the sultan's brother and infant sons - to flee the country, bringing them halfway around the world to the American Wild West. After working the railroads and learning the cowboy way of life, Arana tells the boys it's time to return to their homeland and avenge their father's death. Back on Indonesian soil, the hunt for their father's killer begins. Along the way, they meet some villagers including Kiona, the rebellious and beautiful headman's daughter who Suwo falls for, and soon find out that the treacherous Van Trach still rules the area. Their presence puts the village in danger, quickly turning their quest for revenge into a fight for freedom. 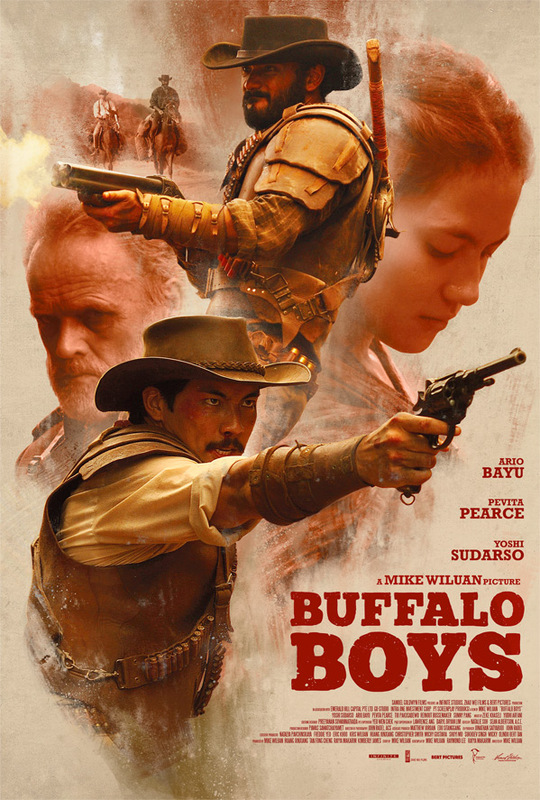 Buffalo Boys is directed by Singaporean producer Mike Wiluan, making his feature directorial debut with this film. The screenplay is written by Raymond Lee and Mike Wiluan. This premiered at the Fantasia and New York Asian Film Festivals. Samuel Goldwyn Films will open Wiluan's Buffalo Boys in select theaters starting January 11th, 2019 coming up.